A children’s display and self assembly storage piece to playfully house items of significance and favoured trinkets. Children often carefully curate their favourite items in different areas around their rooms. 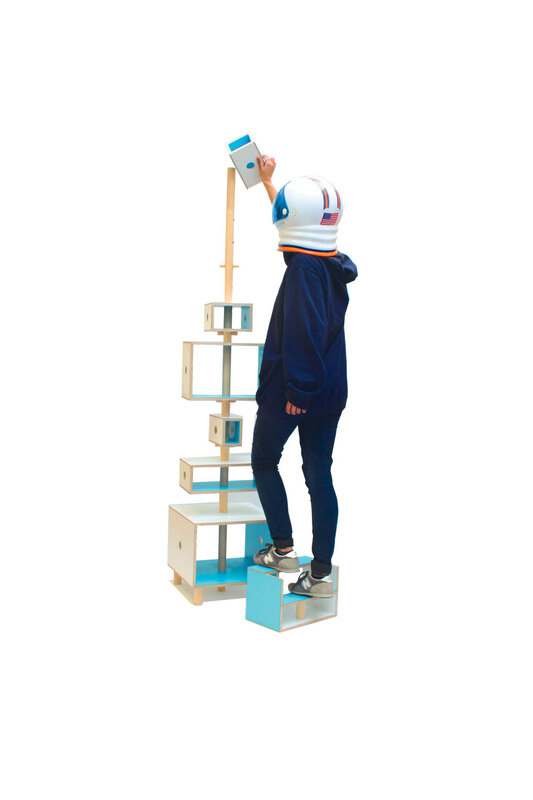 Totem aims to celebrate this behaviour in a self assembly furniture piece which engages the child's imagination. Totem is deliberately styled to incorporate an interactive and creative experience for adult and child whilst sympathising with the tastes and functionality required in family spaces. 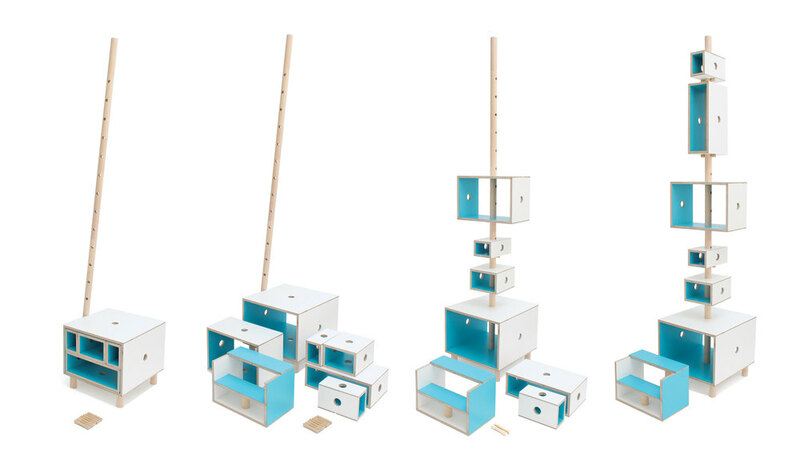 Totem comprises of a step and five boxes which concentrically store into the base box. With a pole and five pegs that support the boxes landscape or portrait.